1984 was a brilliant year for British music. The Smiths wowed the world with their eponymous debut album, the Cocteau Twins produced their magnificent Treasure, Prefab Sprout served up the beguiling Swoon – and then just when you thought it was safe to walk past your friendly local record store again, Lloyd Cole and The Commotions came out of the blue to give us Rattlesnakes. Released in October 1984, it followed the two singles Perfect Skin and Forest Fire. The former, which hit the lower reaches of the UK charts in March of that year, was an audacious, confident and amusing little thing – one that marked the band out as purveyors of catchy guitar pop with an unusual line in self-depracating lyrics. Forest Fire followed, a dreamy, romantic ballad full of adolescent wit and wisdom. The album continued the theme; it was a lovely companion piece to the singles, but raised the band’s game still further with the beautiful title track, given an epic feel courtesy of the rousing string arrangements by Ann Dudley (Art of Noise). Produced by Paul Hardiman, Rattlesnakes worked well as a long player. The whole album felt dreamy, contemplative and slightly melancholic – but the wry lyrics always raised a smile and stopped it from taking itself too seriously. Cole loved dropping snatched scenes from private lives into his songs, giving the LP a conversational and sometimes voyeuristic feel. Musically there was a heavy nineteen sixties influence, which makes it sound less dated now than some eighties albums. Richly textured with guitars, keyboards and strings, it has a smooth, warm, sumptuous feel. Cole’s voice is moody and characterful, although his studied mid-Atlantic drawl jars more than it did back in 1984. To suburban sixteen year olds hungry for glamour and sophistication, his frequent literary and film references (“she looks like Eva Marie Saint in On The Waterfront“, etc.) seemed clever at the time, but now come across as rather more affected. Still, this is part of the album’s unique charm. 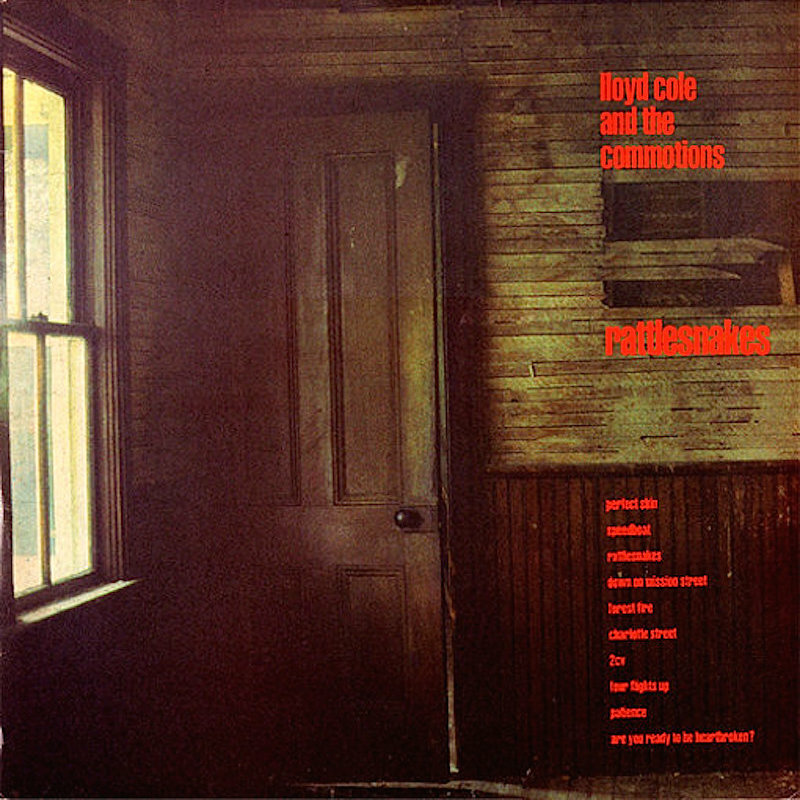 Lloyd Cole and The Commotions went on to do one more great LP – Easy Pieces – but for many Rattlesnakes was the band’s finest hour. It’s no Dark Side of the Moon, but remains an interesting and enjoyable little album full of whimsy and lovingly crafted tunes. Not quite the best release of 1984, but it certainly added to that year’s portfolio of excellent new British music.